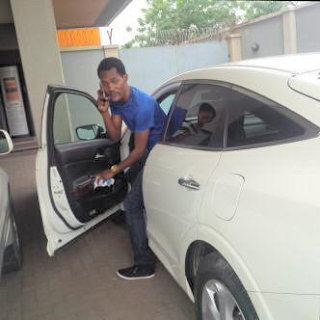 Lagos big boy, Seun Egbegbe was arrested in Gbagada two days ago for fraud. There’s a report that his manager has denied the arrest saying ‘Nothing of such’ happened. 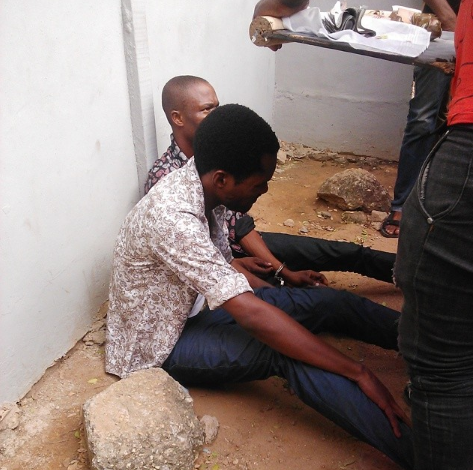 Seun was mobbed and arrested in November 2016 when he tried stealing nine iPhones at Computer Village in Ikeja. He's expected to appear before an Ikeja Magistrate’s Court over the theft case on Wednesday, February 8. Only for him to get arrested again at the general hospital in Gbagada, Lagos after trying to dupe bureau de change operators of millions of naira while pretending to be a medical doctor. ‘One Seun Karim, a.k.a. Egbegbe, and one Ayo Oyekan, disguised as the MD of Gbagada General Hospital and the other as a patient. ‘They lured one Alhaji Isa Adamu and Abdullahi Haruna, both Bureau de Change members, from different locations, that they needed US9,000 dollars (2,742,750 by official rate) and £3,000 pounds (N1,142,995 by official rate). 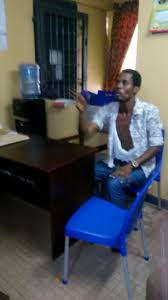 They are now under detention at Area H in Ogudu, Lagos.Despite all the facts, TheNetng reports Seun Egbegbe’s manager denied the reports saying ‘Nothing of such’ happened. Seun's team is yet to release an official statement regarding the shameful incident.